2016 Mitsubishi Pajero with features such as airbags (front and side), cruise control, leather seats. It has other color interior and is White. GCC spec. GCC spec 2014 Mitsubishi featuring performance tyres, climate control, air conditioning. Grey/Silver with beige interior. GCC spec 2015 Mitsubishi Pajero, gold SUV/Crossover with other color interior. It features leather seats, 17 inch wheels and sunroof. Automatic 2016 Mitsubishi Pajero price AED 49,999, with 17 inch wheels, airbags (front and side), fog lights, other color interior, white exterior. GCC spec. GCC spec Pajero from 2014 for AED 42,000 with a 6 cylinder engine. Gold SUV/Crossover with beige interior. It has tyre pressure warning system and CD player. GCC spec Pajero from 2010 for AED 23,000 with a 6 cylinder engine. Blue SUV/Crossover with other color interior. It has airbags (front and side) and fog lights. AED 69,500 for this GCC spec, black 6 cylinder SUV/Crossover with black interior. It has tuner/radio and LED headlights. Mitsubishi Pajero / 3.5 / V6 / GLS / FULL OPTION PLATINUM / 2014 / GCC / WARRANTY / WOW! ONLY 724 DHS MONTHLY! GCC spec 2014 Mitsubishi Pajero, white SUV/Crossover with black interior. It features fog lights, 17 inch wheels and parking sensor rear. Automatic, 18 inch wheels, CD player, air conditioning, beige interior, white exterior. Price: AED 56,500. Mitsubishi Pajero grey/silver SUV/Crossover, beige on the inside with power locks and tuner/radio. 17″ wheels. White 2014 SUV/Crossover. Beige interior. It features sunroof, 17 inch wheels and CD player. Gold SUV/Crossover, beige on the inside with power locks and cruise control. 16″ wheels. Reduced price! Grey/Silver Mitsubishi Pajero from 2018 with beige interior. Mike - I bought second hand Mitsubishi Pajero 3.0L V6. It’s quite old, but it was in my price bracket. Good cars for long journeys and when you’ve got driving duties back and forth from rugby games. Lots of space and next year I’m planning to buy the 3.8 full option model. Pros: Space, fuel consumption and comfort. Christine - I searched for ages for an Import Pajero GLX 3.5L but to no avail. Had to settle for a pre owned 3.5 GLS GCC model instead. Very robust cars and the options are ok. Space is plentiful especially with the rear seats folded down. 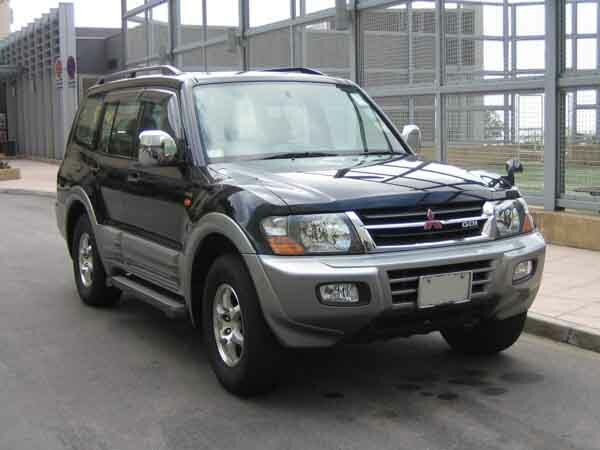 Gillian - We got our used Pajero online for a good price in UAE. It’s the short wheelbase model as we already have a five-door model to take the kids to school. Both are spacious, offer good fuel economy, and it does pretty well in the dunes. Pros: Fuel, off road ability and space. Cons: Options aren’t fantastic even with full option models. It's available as a long wheel base or short wheel base. It’s no heavy hitting pick up with massive amounts pulling power. However, the Pajero can pull 3,000 kgs. When it comes to the price tag, the Pajero has many of its rivals beat due to it being lower and offering equal if not better options. They are popular vehicles in the region giving them excellent resale value. One reason they maintain their resale value is due to their easy to fix nature. At the end of the day, they do hail from Japan. Starting life off as a boxy SUV, the Pajero maintains its heritage even if it isn’t visible. Still a favourite around the world even with sales ceasing in 2006. They may not be filled with options like a Range Rover, but they get the job done no matter what. In select regions of the world, the Pajero name is not used due to certain reasons. Instead, the Montero and Shogun name are used instead. It’s also quite the vehicle to take off road as proved in the Dakar rally where it still remains the most successful vehicle in the races gruelling history winning its class multiple times. That may have helped sales as well. Road Rivals: Toyota Prado, Nissan Pathfinder, Ford Explorer and the Land Rover Discovery. 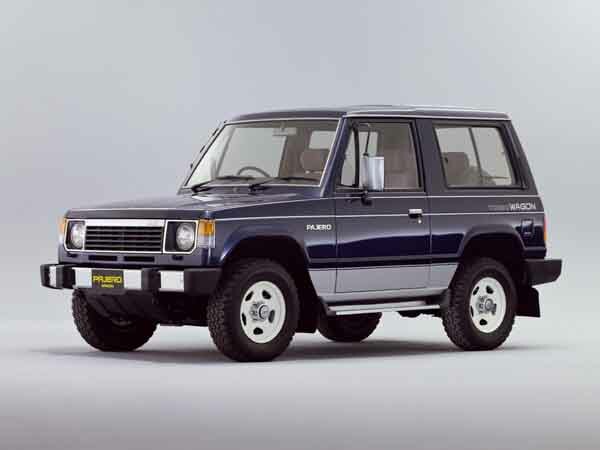 Debuting with a boxy design which appears to be a style of the times, the Pajero proved popular around the world as it could pretty much go anywhere including asphalt and sand. Options weren’t fantastic according to today’s standards, but there was enough to keep everyone happy. The Pajero was primarily available as a two-door SUV, but due to popular demand, a four-door version was released shortly into its life cycle. Interior options are extremely basic with manual windows, fabric seats and manual seats. Select models are equipped with a radio tuner, air conditioning, roof rails/rack and rear mounted spare tyre. Power comes from either a four-cylinder motor or a six cylinder 3-litre petrol motor. Base models are powered by the rear wheels whereas four-wheel-drive models are available. Controlling the power units is a choice between a manual or automatic gearbox. Diesel models are available too with turbochargers. 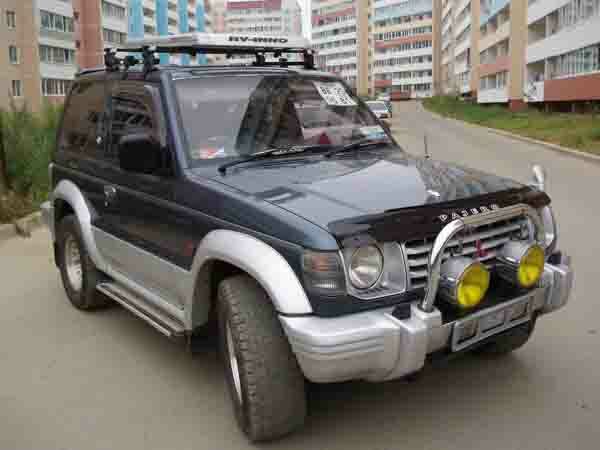 Looking to buy a used Mitsubishi Pajero for sale in Dubai, UAE. Prices are unknown as none have popped up for sale recently. 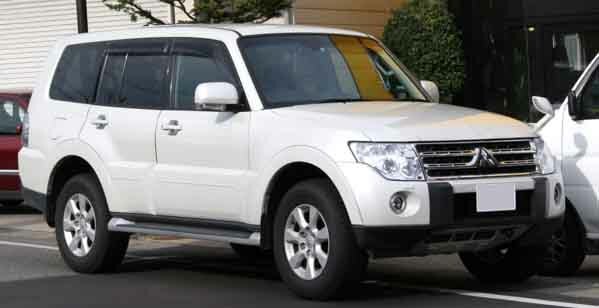 In its second generation, the Pajero is larger in size. Short wheel base or two door models are 70 mm longer, and the long wheelbase, or four-door models are 30 mm longer. Base models have basic interior options once again. Fabric seats, manual accessories and manual seats. Extras include a trailer coupling, sunroof and other options from the previous generation. Power comes from a variety of V6 motors with a displacement of 3-litres or above. Both the manual and automatic gearboxes are retained for a few more years. 1998 models destined for GCC countries have a different face which includes enlarged fenders, new grille, bumpers, headlights, side steps and fog lights. Want to buy used Mitsubishi Pajero in Dubai, UAE? Prices start at AED 8,500. Now in its third generation, the Pajero returned for another few years with an all new look. Available as a two door or four door SUV, it’s popularity maintained around the world. Appearing much rounder than previous models, the off-road ready SUV also received an updated interior with softer materials. Standard models are equipped with a cassette player, radio tuner, front airbags, air conditioning, keyless entry and powered accessories as well as 17-inch alloys. Optional extras include faux wood trim, multi-disc CD player, leather upholstery, traction control, ABS, EBD, cruise control, centrally mounted fridge, sunroof and rear a/c. GCC models are standard as four wheel drives and are powered by either a 3-litre or 3.8-litre V6 petrol engine mated to a four or five-speed automatic gearbox. Manual models are available on the export market. Want to buy a pre owned Mitsubishi Pajero for sale in Dubai, UAE? Prices start at AED 7,000. Now in its fourth generation, the Mitsubishi Pajero sports an all new design to all four corners. This includes an all new face, rear end and rim designs on each corner. Interior options remained identical to the previous generation this includes the optional extras. Rear parking sensors, power seats, Bluetooth connectivity and Rockford sound system joined the lineup throughout the years. Xenon headlights were also introduced at some point as standard lighting sources. Running with the same engines as the previous models, the 3-litre one was dropped in 2010 trim in favour for a 3.5-litre version instead. Automatic transmissions are the norm to power the all four wheels with manual gearboxes available elsewhere. 3.5 models have unique rim patterns to those found on the 3.8 version. In 2015 trim and onwards, the Mitsubishi Pajero has a new look inclusive of a revised front grille and bumper, LED daytime running lights, and a new spare tyre cover mounted on the rear. The interior is also slightly modified and includes new trim material, accents and sound reducing properties. Looking to buy a second hand Mitsubishi Pajero for sale in Dubai, UAE? Prices start at AED 79,995. While it is unknown how the Pajero will look in the future, the Japanese brand has confirmed that an all-new design is on its way as is a plug-in hybrid version of the icon.